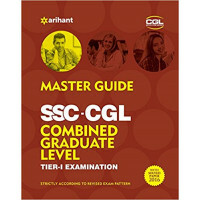 Ultimate Guide to SSC Combined Graduate Level - CGL (Tier I & Tier II) Exam 5th Edition has been written exclusively for the CGL Tier I & Tier II Exams strictly according to the revised exam pattern. 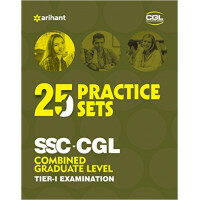 The book includes the past papers of 2012 - 2016 of Tier I. The book also includes the 2015 Tier II Solved paper. 5. 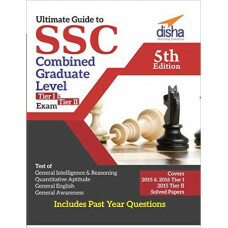 The book also provides a separate chapter on Data Interpretation and Graphs; New Chapters on Indian Economy, Computer Fundamentals and Comprehension have been added in the book. 7. The book provides thoroughly updated General Awareness section with Current Affairs till date.